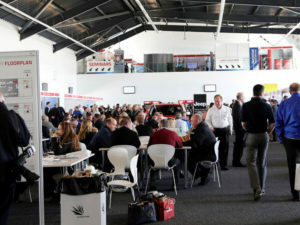 Fleet decision-makers attending next week’s Fleet Show at Silverstone will be able to find out about the latest developments, products and services in the company car and van arena – all under one roof. The event – which takes place on 9 May – will enable visitors to speak with companies across the fleet spectrum; from contract hire and leasing fleet management firms such as Activa Contracts through to salary sacrifice specialists, including Fleet Evolution, and rental expertise from Nexus. Selsia Vehicle Accident Centres will be back at the show as the brand, now in its ninth year, shows its capabilities when it comes to fast and efficient centrally managed accident repairs through its 190 approved car, van, heavy commercial, specialist bodied vehicle repairers and mobile services network. Wex will also be at the show again to highlight the many benefits conferred by the Esso fuel card while Crystal Ball will also return to the event to showcase its vehicle, camera & mobile phone tracking solutions, mobile workforce management apps & lone worker protection solutions. The latest electric vehicle charging solutions will also be under the spotlight from a number of the UK’s leading providers. And both the ICFM and ACFO will be present at the show to talk about the latest fleet issues and how membership can bring access to a wealth of specialist advice and training opportunities while the Society of Motor Manufacturers and Traders will be at hand to discuss the latest challenges and opportunities for the car industry, during a period of near-constant change. As always, visitors to the Fleet Show will be able to gain expert industry insight into some of the latest fleet issues in the seminar programme and make the most of a packed test-drive line-up.